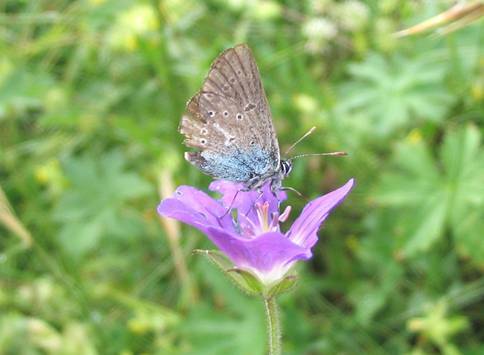 The Geranium Argus is an upland species only rarely flying below about 900m apparently. 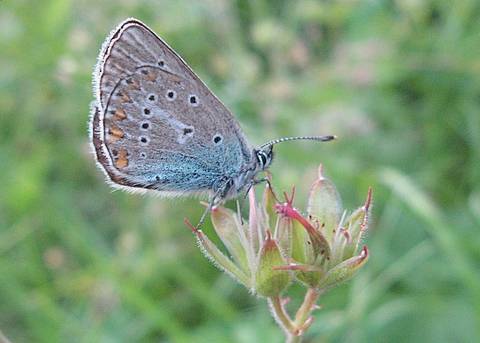 It is basically all brown on the uppersides but the underside of the hindwing has a characteristic white stripe falling almost exactly between the cell spot and the post-discal row of white-ringed black spots. 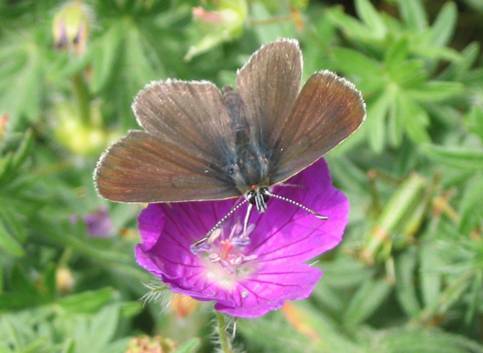 The butterfly seems thoroughly preoccupied with sitting on the large geranium flower heads of its larval host plant which makes searching for and identifying the species relatively easy.